One of the mantras of today’s forward-thinking companies is for value creation to be the prime driving force of the company. But what is value? A global consensus is now emerging that value creation must involve more than just increasing financial capital for shareholders. For companies to survive in the present and prosper in the long term, they must also address their use of environmental capital, social capital, human capital, intellectual capital and other critical resources. The transition to business models based on this vision is one of the greatest challenges facing organizations today. A fundamental step in this journey is the adoption of a next-generation system for reporting performance transparently across all these capitals – a framework for Integrated Reporting. The International Integrated Reporting Council (IIRC), a global coalition of regulators, investors, companies, standard setters, the accounting profession and NGOs, is leading this drive. The reach of this new framework extends far beyond the traditional CFO’s domain of revenues, costs, cash flows and balance sheets. What is needed is an in-depth assessment of more complex information from inside and outside a company, that is vital to the company’s ability to innovate and flourish. Big data, data analytics, artificial intelligence and other groundbreaking technologies are now playing a transformational role in the speedy identification, collation and strategic analysis of the relevant data. The arrival of Integrated Reporting gives Chief Information Officers (CIOs) new potential to be actively involved in reshaping their company’s strategies for growth. With Integrated Reporting the common perception of CIOs and their IT departments as cost centers supplying a necessary service is set to change dramatically. The information delivered by the CIO is likely to be just as important in meetings of the Boards of Directors and executive committees as the traditional financial numbers presented. As a member of the IIRC’s Technology Initiative, Atos has helped produce a paper that we think every CIO should read. The Technology primer for integrated reporting: A Chief Information Officer guide highlights the critical strategic role that CIOs can play in delivering a successful transition towards Integrated Reporting, a decisive lever to facilitate integrated thinking for the day-to-day decision-making processes of a company. Manage data from all the business capitals that are relevant to the value creation process. This will involve organizing systems where the relevant objects and attributes can be managed. In parallel, the data model for the objects and attributes needs to be aligned to ensure simple integration between the (different) systems. We need to understand what is happening in the process. Specific company priorities will require specific modeling. For example, the business processes might be modeled as well as the value creation process, the Integrated Data Model, Performance metrics and/or Product Life-cycle Management. Based on the multi-capital data captured and organized as a result of new big data technologies, companies can explore the relationships between the different capitals. The impacts of the different capitals (on each other) can be analyzed and measured. Relations between Finance and other capitals can be identified to provide actionable insights. New ways of reporting (Integrated dashboards) and communicating the results need to be explored. Managing change and establishing a culture of responsible business which acts on the insights of Integrated Reporting whereby the focus is on the value creation process. Pressure for companies to change their behaviour and improve their transparency is coming from all directions, with regulatory reforms taking place in countries such as the UK and France and investors worldwide increasing their demands for extra-financial information. Today, it is estimated that from stock market capitalization just 20% of the company’s value is based on Financial and Manufactured capitals – the other 80% is derived from the other, more intangible capitals that organizations ignore at their peril. Atos is committed to taking a leadership role in integrated thinking and integrated reporting, and for us this means being ahead of the regulatory curve. Since 2012 we have implemented new systems to collect extra-financial information and our technology teams are working very closely with the finance department to create a dashboard that will present information from all the different capitals, using common tools and workflows. Our aim is to use our expertise in technology to explore the relationships between the different capitals, whether it is analyzing the impact of investment in training on the human resources capital and company revenues or seeing how investment in one specific product will impact the environment or society. This will support us in our integrated thinking to design the future strategies of the company. Already, Integrated Reporting is being voluntarily adopted by over 1,500 organizations in 65 countries. Now is the time for forward-thinking CIOs to seize the opportunity to design multi-capital systems that give Boards and investors alike new insights into how their companies create long-term value. Pilar is currently the Global Director of the Corporate Responsibility & Sustainability Office in Atos, part of the Global Secretary team. Under her present responsibility, Atos has attained top recognitions on extra-financial performance (ESG) as the IT services sector leadership of the Dow Jones Sustainability Indices, MSCI and Carbon Disclosure Project ratings. Before joining the corporate organization, she was Director for Electronic Commerce and Supply Chain practices at Atos Consulting, working mainly in high tech, retail and automotive industries. Previous to Atos, she held different management positions at professional industry organizations as Edifrance (AFNOR) and AECOC (GS1), and multinationals as Gefco (Peugeot Citroën PSA Group) and Teleinformática (General Electric Information Services). She holds a Telecom Engineering degree ('92), Executive PMD ('07) and a focused degree in Strategic Management and Social Leadership ('11) both from the IESE Business School. Recently (´17) she earned the post-graduate Non-Executive Diploma, created by the Financial Times to assist Board Directors in dealing with increasing pressure and efficiently contributing to long-term value creation. She is member of Eje&Con, Spanish Executives and Board Directors association. 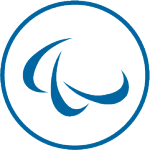 Herman joined Atos in the Netherlands in 1998 working as a business consultant before joining the Atos Corporate Responsibility and Sustainability Office (CRSO) in 2013. He is responsible for the Atos CRS Planning & Reporting process and is involved in developing Digital Sustainability propositions for our customers (e.g. Energy reduction; Integrated Reporting; TCFD). Herman began his professional career at KPN Telecom (Control department) where his primary activities were to implement a time registration system for employees as well as the Extra-Financial Planning & Reporting system and process for KPN. After several years he switched to the KPN Service Provider Mobile for which he worked as program manager for the development of the Billing and Sales processes. Herman studied Economics and Administrative Information Management at Tilburg University (Netherlands). His passion is for building the bridge between business and IT.